incomplete - or filled with technical jargon. to help promote this: see Services. on these, here on the site. or mental distress. Counselling, mentoring and guidance are also available. and the "fear-based" one - these are active in all main cultures. that power away from them. and articles are FREE - for you to use and hopefully, share. Life is meant to be celebrated, see the full meaning of celebration HERE and Celebrate-Life. behaviour: and thus it is not a disorder, complex, etc, etc. more here. And oh yes, You are Normal! See "About Healing" and "Culture". and now share that with you - through this site. I fully believe in people's Human Potential, and their ability to achieve Peak Experiences. Assistance is available In-person, and via Distance. The respective site "section maps" below will lead you to more detail. problem (a time-consuming endeavour). Please bear with me during this time. Thank you. like a "Never-Ending Story" book. Every Journey begins with a single step. Yours too; your First step . . .
couselling/coaching, I have used the "person-centered"
although they have over-lapping similarities. and it became necessary to provide them with those. 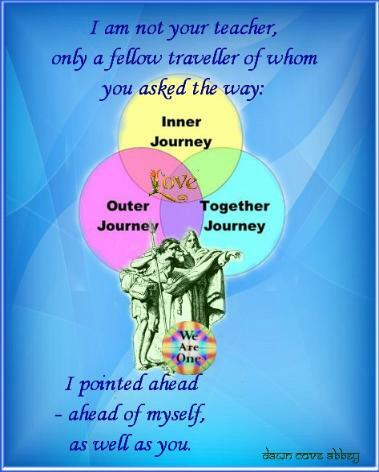 of the healing journey itself. Love vs Obsession, etc . . .
information of the site itself. differences in people's lives - which is my desired goal. coping with them (and/or healing from them). Thus the time has arrived to do major updates and revisions on what is available on this site. It is a huge project, so please bear with me during this transition.